At age 16, Dr. Amar took an interest in chiropractic after he sustained an injury while playing hockey. Always having an interest in injury rehabilitation from his experience playing sports, Dr. Amar’s passion for studying human kinetics emerged in undergraduate school. Dr. Amar has always believed that human movement and the bodie’s structure plays a large impact on one’s overall wellbeing and health! As such, Dr. Amar continues to learn and grow in the field of chiropractic biophysics, structural and postural re-correction of the spine and its impact on our biomechanics. Dr. Amar received a bachelor’s degree in Kinesiology from the University of Fraser Valley. Then, it was time to pursue a chiropractic education at Palmer College of Chiropractic West. He has pursued additional training and certifications in the Graston Technique, Active Release Techniques®, Webster Technique and Chiropractic Biophysics®. By combining structural and postural correction with functional movement screenings and kinesiology taping, he offers a multi-approach rehabilitation program to help you feel better in mind, body and soul. 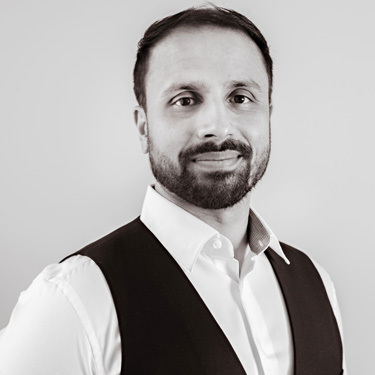 In Dr. Amar’s free time, he likes to explore Victoria and take advantage of all it has to offer including hiking, camping, kayaking, ice hockey, golfing, Pilates and kickboxing. He’s fluent in Punjabi and English and enjoys being involved in our community by sponsoring local dance companies, theatre and sports teams, as well as supporting The Cridge Center and Our Place. If you’d like to find out more about what we do, contact us today to schedule a complimentary consultation!